Does When You Marry Affect Your Chances of Divorce? 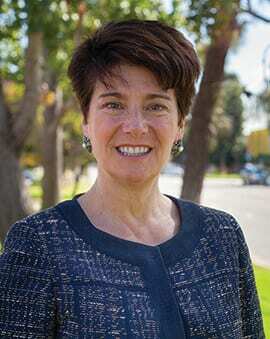 As many of you know, Inspired Financial has particular expertise in serving women in transition. One of the primary transitions we encounter is divorce and it got us to thinking about the factors that might contribute to divorce. For example, according to conventional wisdom, the odds that you and your spouse will divorce go down if you wait and marry at older ages. Surprisingly, a new research report by a sociologist at the University of Utah paints a different picture. 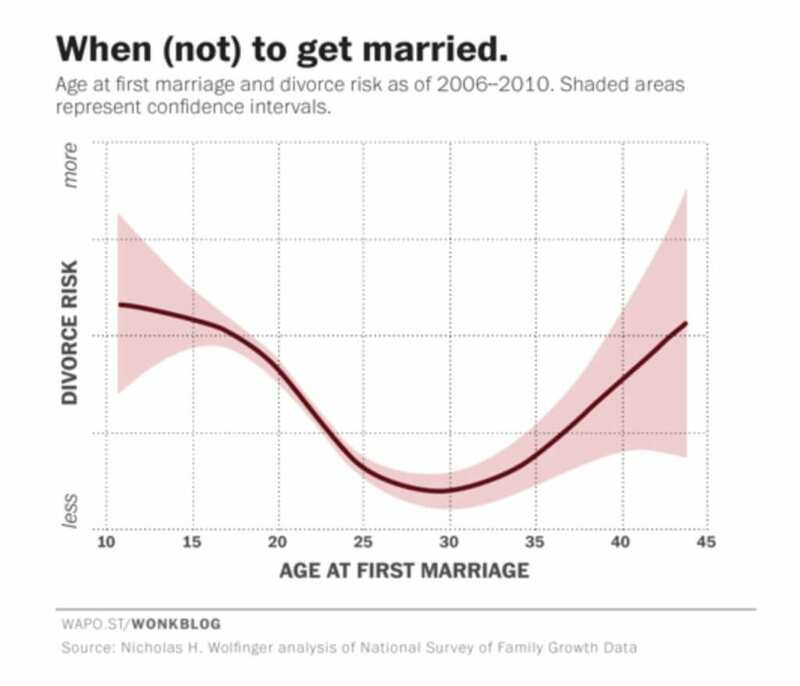 The researcher, Nicholas Wolfinger, drew a graph of peoples’ age of first marriage and divorce rates based on government statistics, with confidence intervals (shaded red). This research found that your divorce risk is very high if you marry in your teens and it does indeed go down as you age, as expected, but only until you reach age 30. In general, marrying between the ages of 25 and 30 subject you to the least risk of a subsequent divorce and then the divorce rate goes back up again. Past the age of 32, the odds of divorce increase by 5% per year of age at marriage. Why would that be? The author speculates that if you wait to marry until your 40s, the pool of possible mates is smaller and those who remain in the dating pool may be less predisposed to succeed at matrimony (we’ve all heard it: “S/He’s 42 and has never been married?!? What’s wrong with her/him?”). People who wait until their 40s to get married may get so used to the freedom of single life that they make less-satisfying (and satisfied) spouses when they finally decide to give marriage a try. Also, older people are more likely to have children from a previous relationship, which may complicate the current relationship to the breaking point. Before we start pointing any fingers or start feeling guilty, note that these statistics seem to hold valid whether we’re talking about men or women, more or less educated, and whether or not the parents are still together or divorced. The study is quick to emphasize that these are just statistical risks and if you wait until your 40s to get married (or remarried), your relationship is not doomed! The author notes one positive sign that overall divorce rates have declined for the past 30 years, from a peak in the early 1980s. Interesting as this research is, we remained convinced that hard work, a lot of patience, and a fair amount of luck have more impact on marital success than age. If you have any secrets for wedded bliss, be sure to share them with us!